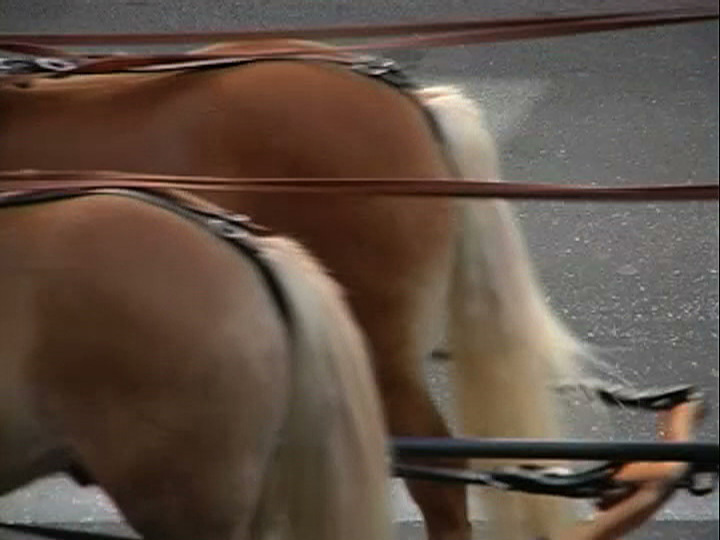 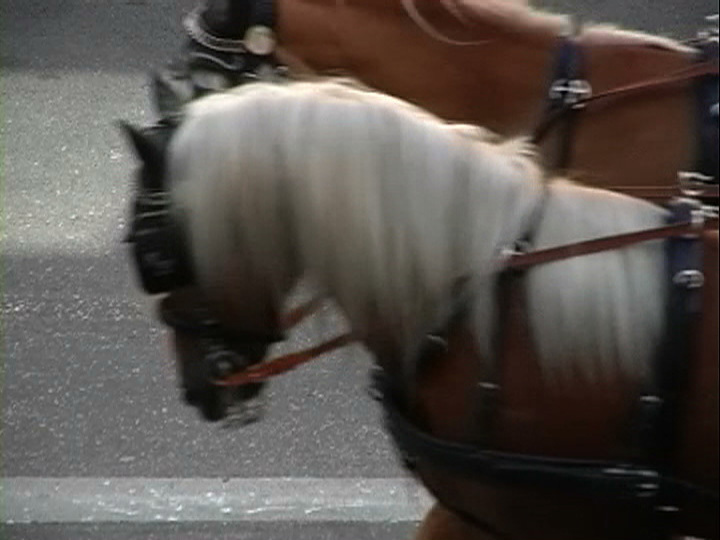 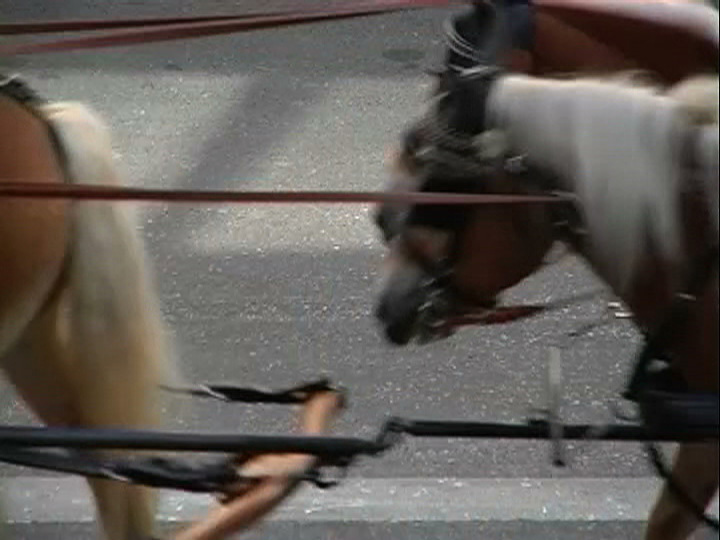 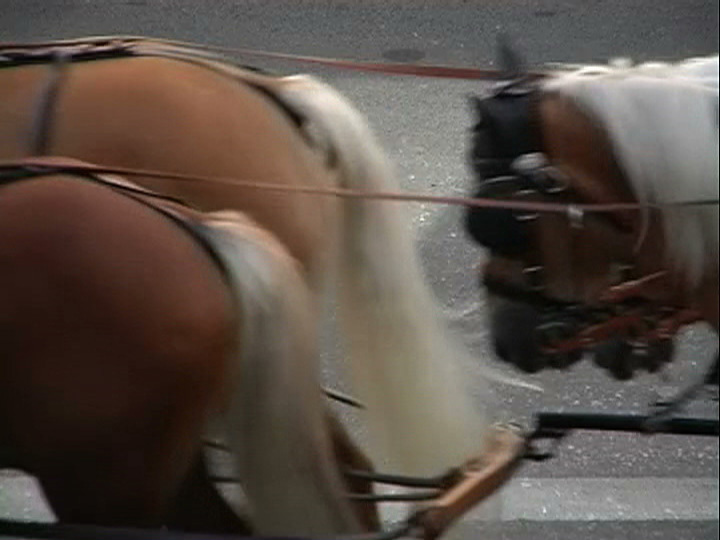 The video film Prometea is named after the world´s first cloned horse, a Haflinger mare. 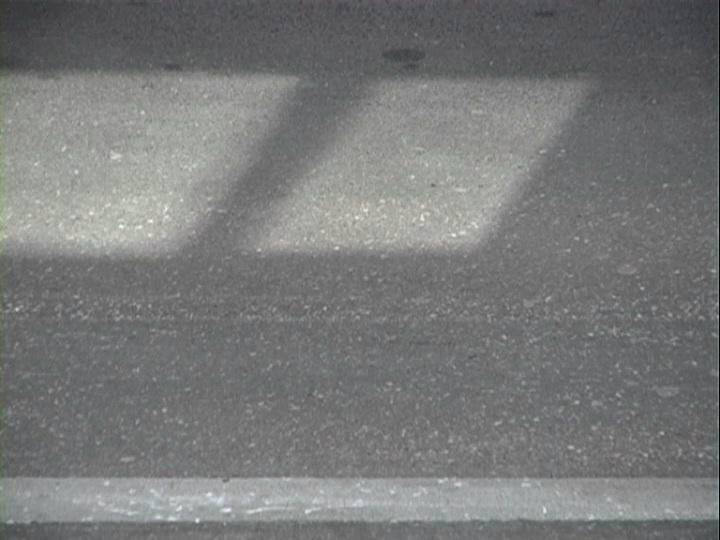 The camera is focussed on an empty street. 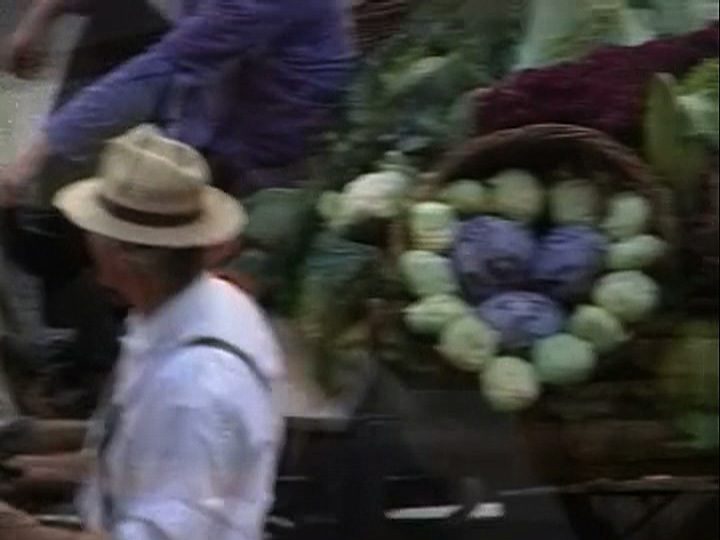 A child´s shadow flits across the picture, followed by an endless procession of Haflingers pulling a tiny cart piled high with vegetables.